Roland Warzecha will be teaching workshops on the Viking shield, high medieval shields, and the buckler at the Geschichtspark Bärnau-Tachow on the Czech border. 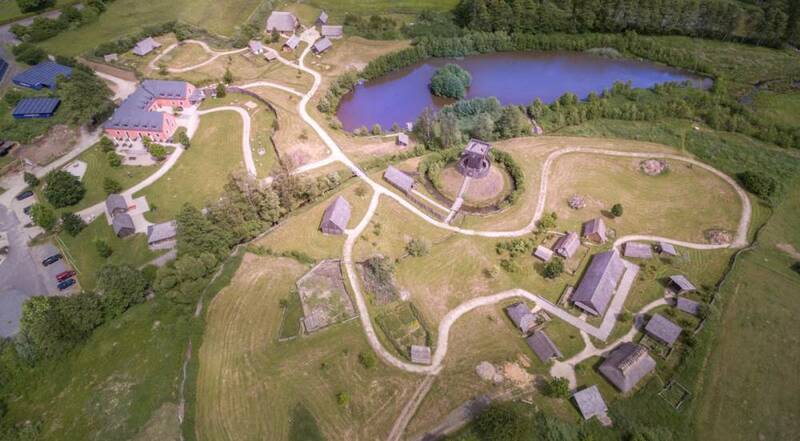 The Geschichtspark is a unique location, with replicas of an 8th century Slavic settlement, a 10th century motte and church, and a 13th century village embedded in farmland on the edge of a small Bavarian town. September 8/9: Buckler and smaller late medieval shields. Watch a video of fights with triangular shields here. For more information, check out his Patreon. From Dimicator, the alter ego of Roland Warzecha. You are welcome to participate in the Historical Sword & Shield Classes 2017 in period costume in the most beautiful venue of the History Park Bärnau in the south-east of Germany [in Bavaria, on the Czech border- ed.] All seminars focus on single combat with shields and hand weapons, but duelling with spears will be covered, too, as a means to convey essential tactical and mechanical concepts. See photos of past classes in these albums here and here. An info brochure is attached as PDF to this post. This should answer most questions, but do not hesitate to send an email if you need any further information. Registration is open. Feel free to ask any questions you might have via email. See you in the History Park Bärnau in summer 2017! While I am not completely confident in what Roland is doing from an academic point of view, I can say that he is a very good fencer and a safe teacher. So if you are interested in how later martial arts can be extrapolated backwards to find effective ways of fighting with earlier weapons, these workshops would be as good a place as any.